If, like me, you love film, then you will probably find VideoETA to be incredibly useful. No. It is not a beautiful website, but boy is it functional. 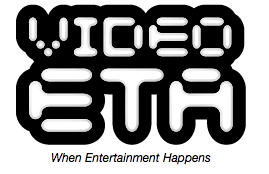 VideoETA’s only purpose is to give you, the viewer, information on DVD and BluRay release dates. While the dates it uses are US only it’s still incredibly useful. With more and more titles being released at almost the same time on both sides of the Atlantic and a growing number of studios offering “region free” BluRay discs, this sort of service is useful. So, for example, if you loved Avatar and want to know when it’s going to be available to own, then VideoETA will be able to tell you that it is currently scheduled for a June release. Their blog is also a pretty good source of film news, though it may not be on a par with some of the big movie news sites.